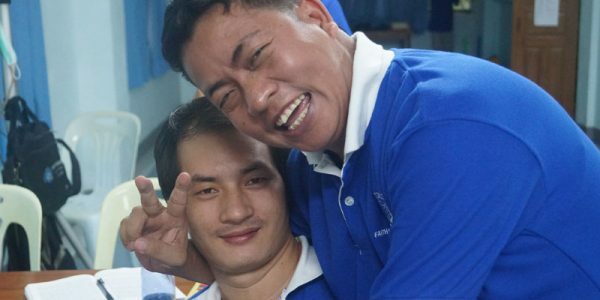 At a time in history when God is bringing huge numbers of people to Christ, seminary training is a vital key to the Great Commission in Asia. 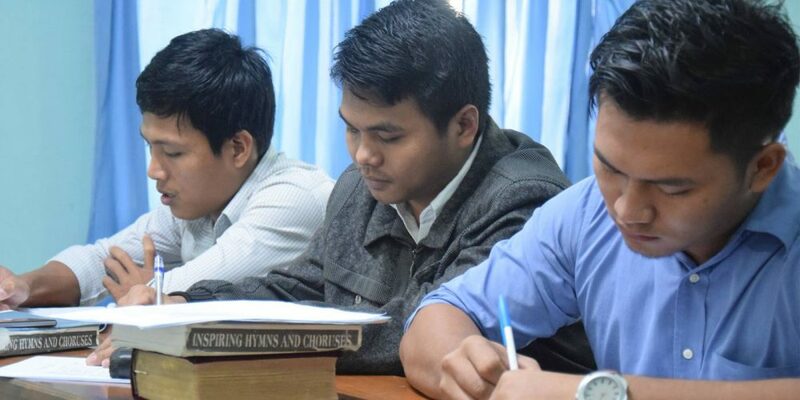 Faith Baptist Bible College and Theological Seminary in Myanmar trains young and inexperienced leaders in solid theological doctrine, helping Burmese believers become mature evangelists. These Burmese believers graduate excited and equipped to make disciples in their home cities and villages, enabling new believers throughout the country to become mature followers of Jesus Christ. 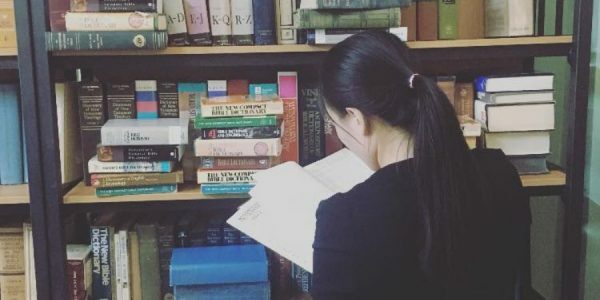 Dr. Do Suan Mung, the faithful founder of both the Bible college and seminary in Myanmar, opened the first doors to the school in 1986 and is personally still on the front lines of this educational endeavor. He is now joined by plenty of other well-trained professors as they raise up and send out their students. 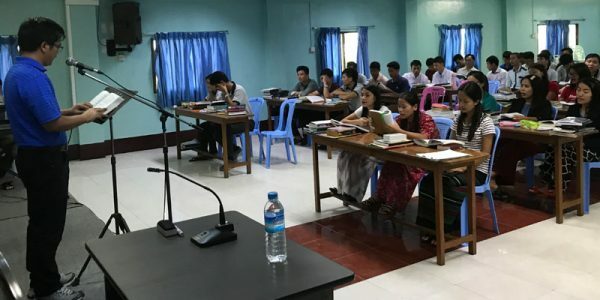 Between the college and seminary, hundreds of students are trained each year to go out as pastors, evangelists, and missionaries to the lost in Myanmar. Join Faith Baptist Bible College and Theological Seminary on their mission to empower students for a life of enduring commitment to Christ, biblical fidelity, moral integrity, intellectual growth, and lasting contribution to the Kingdom of God. 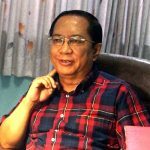 Dr. Do Suan Mung founded Faith Baptist Bible College in his home state of Myanmar—Chin State—in 1986. 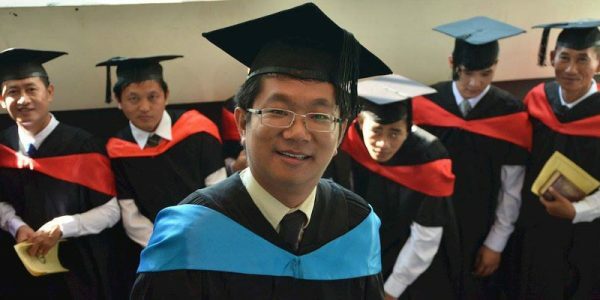 Since then, Dr. Mung has served as the president of the school, which expanded in 2003 to include Faith Baptist Theological Seminary, located in Yangon (the former capital city). The schools combined have graduated hundreds of students who are now serving the Lord in many different capacities, including evangelism, pastoral roles, church planting, missions, children's ministry, and more. 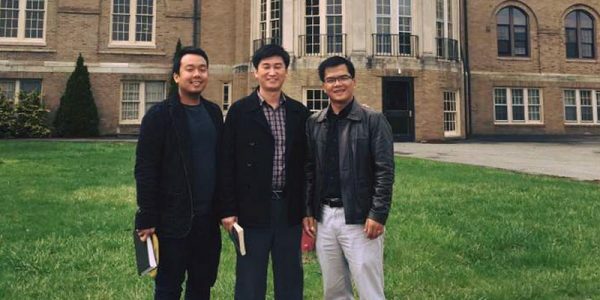 Dr. Mung tells a powerful story about how God saved him through Jesus Christ, provided for his seminary training, and led him to begin Faith Baptist. Read the full account here. Dr. Mung and his wife have four children, who by God's grace are all serving the Lord in Myanmar or in the United States. Video: 15-Year Long Prayer for New Library Books Answered! 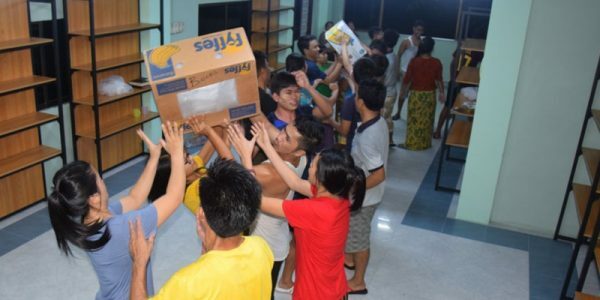 The students and staff unloaded the trucks and passed the banana boxes of new library books from student to student, up the stairs, and into the new library. Would it be best to go visit the school to encourage him and his staff in prayer, give money to the school for the general operation, or some other way? 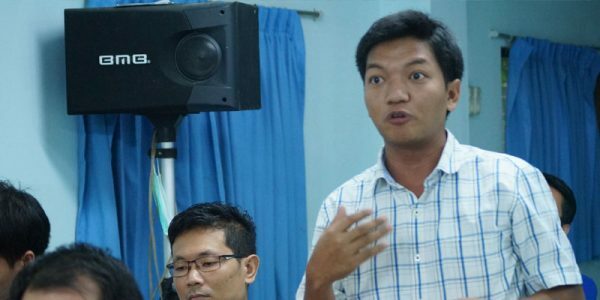 So, for the past several months, Dr. Mung's son Sangpi has led the charge to revive the college and increase enrollment through different ministry objectives. 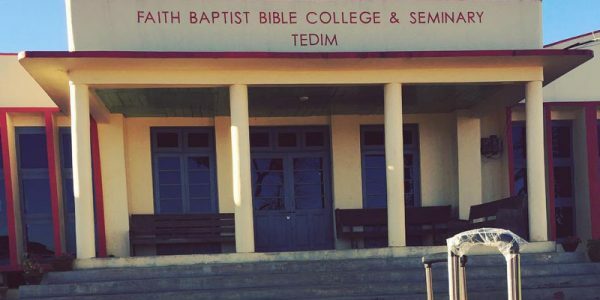 If you were a fly on the wall at Faith Baptist Bible College and Theological Seminary in Myanmar, this is what you'd see. If you are called to ministry then you are called to prepare. Those at Faith Baptist Bible College and Theological Seminary in Myanmar fully believe this! After graduating the last class of students at the beginning of February, it's time for everyone—including the professors—to take some time to rejuvenate. As a supplement to the normal curriculum, students at Faith Baptist are given the floor to ask any question they would like. And they are great questions! Every two years, FBBCTS in Myanmar sends out well-equipped workers into the harvest field. That's because that's when the students get ready to graduate.